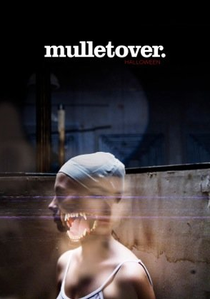 With London’s Halloween event drawing closer, mulletover announced two further artists to their line-up in the form of house music legend Kerri Chandler and the man from Switzerland with a soul from Detroit, Deetron. Growing up in a family of jazz musicians in New Jersey, Kerri Chandler’s father, a DJ too, provided young Kerri with a background in the origins of soul, disco and the New York Underground Sound. Since the release of his first single, ‘SuperLover/Get It Off’ and as the founder of Madhouse Records and MadTech Records on Atlantic Records in 1991, Kerri has released numerous records. Deetron has produced some of the most timeless pieces of recent time and birthing 2010 masterpieces ‘Each Step’ ft Seth Troxler (with whom he´s about to go back into the studio with) on Circus Company and ‘Collide’ on Green and the incredible The Maze, and has continued this rise and rise this year. Kerri and Deetron join Cassy, Geddes, Subb-An, Boddika and Huxley.